In Rabbits & Owls Room the children are getting very creative for child safety week. 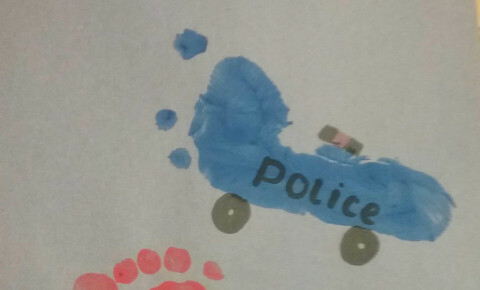 First of all we thought it would be fun for the children to create police cars and fire engines with their foot prints. 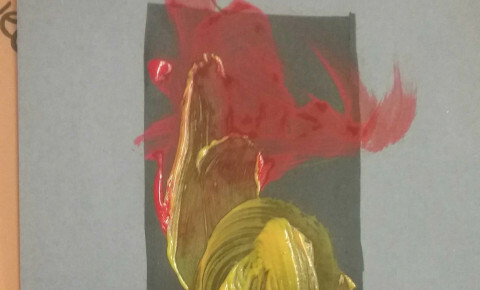 The children sat one by one on the table and had a chance to paint their feet. Vinnie held the paint brush by himself and copied a staff member, putting it on his feet. 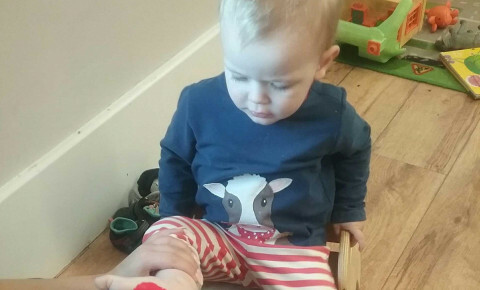 He then stamped his foot on to the paper to make the print, when Vinnie saw the outcome he said “Wow” as he looked at the footprint on the paper. Robin needed a bit more support, she took her own shoes and socks off and come over to the paint, as if she was asking a staff member to paint her feet. She sat down nicely and a member of staff painted her toes whilst she laughed as it tickled. After the footprints were dry, a member of staff wrote police and fire engine on them so they could resemble the safety vehicles. Next, the children engaged in a traffic light activity, a member of staff sat with the children for support. After sticking a black rectangle on to the paper the children were encouraged to paint various colours on the piece of black card in order to resemble a traffic light. They showed confidence in doing this and enjoyed the freedom of free painting. What are the children gaining from this activity? They are encouraged to paint their own feet and stamp them on the paper, they are also encouraged to free paint on the black card to make a traffic light. 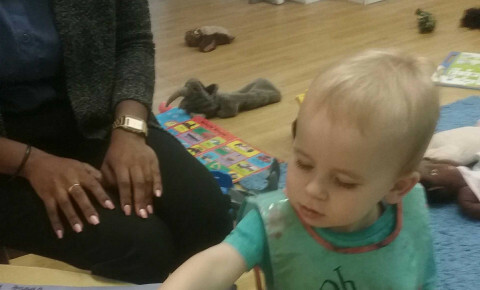 Both of these encourage Physical Development as they are using a full hand grasp whilst holding the paintbrush and they are using a sense of direction whilst painting. This activity also supports their awareness and understanding because they are observing what the adults are doing, and copying their actions. What is child safety week? Child safety week is run by Child Accident Prevention Trust to raise awareness of the risks of child accidents and how they can be prevented. Many organisations run local activities and events to promote safety in a fun and engaging way. Child safety week is from the 4th to the 10th June. Fire painting- using colours associated with fire (red,orange) squirt or draw thick lines on the paper and add a few drops of black. Press clear plastic wrap onto the paper and squeeze the paint around, pull the paper off to create a fire pattern. To extend you can allow your child to draw a house or fire engine next to the print. Badges- using different materials create some different badgers out of paper and cover with tin foil. 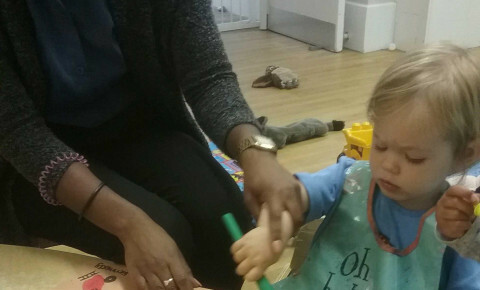 Singing safety songs- these songs include, fire-fighter, twinkle twinkle traffic light, do you know the police officer and five little fire-fighters. Safety colouring- print out some safety colouring in pictures and provide your child with various colour pencils.